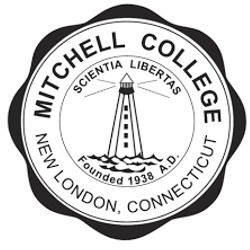 Chelsea Shaughnessy takes over as head women’s soccer coach at Mitchell College in 2015. Shaughnessy, who will make her collegiate head coaching debut with the Mariners, spent the past three years as an assistant coach at Johnson & Wales University. She inherits a program at Mitchell that has produced a total of 20 all-conference selections—including a New England Collegiate Conference Player, Rookie and Goalkeeper of the Year—over the past seven years. Shaughnessy spent three years as a women’s soccer assistant at Johnson & Wales. The Wildcats qualified for the Great Northeast Athletic Conference Championship twice during her tenure and advanced to the semifinals in 2014 for the first time in six years. She also served as an assistant on both the women’s lacrosse and basketball teams while at JWU. On the club level, Shaughnessy is currently coaching the Southeast Soccer Club U11 girls team. She also spent three years with the Tidal Wave Soccer Club in Providence, R.I. and most recently coached the U18 team. In addition she served as an assistant coach with the U17 squad and aided in player development for girls 12 and under. Shaughnessy was a three-sport athlete (soccer, lacrosse, basketball) at Nichols College in Dudley, Mass. She was a three-time all-conference soccer honoree (2009-11) and played in 72 career games with 26 goals and 15 assists as a midfielder. She led the Bison in scoring as both a freshman and senior and was named a captain in her final season. In three years on the women’s lacrosse team, Shaughnessy played in 38 games and scored 55 goals with nine assists and 108 draw controls. A top defensive threat on the basketball court, she set the school record for single season steals (115) as a senior and ranked fifth in the nation in the category in 2011-12. A native of Halifax, Mass., Shaughnessy graduated from Nichols in 2012 with a degree in sport management. She is a member of the National Soccer Coaches of America and is licensed by the U.S. Soccer Federation. 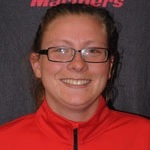 Shaughnessy also serves as an assistant coach for the Mitchell women’s lacrosse program.itchell College.